Please call the Academy Admissions Office at 314-973-8997 for an application. The Academy of St. Louis has a rolling admissions process based on space availability and accepts applications year round. Admission to the Academy is dependent on many factors, most of all that the student and school are a good mutual fit. 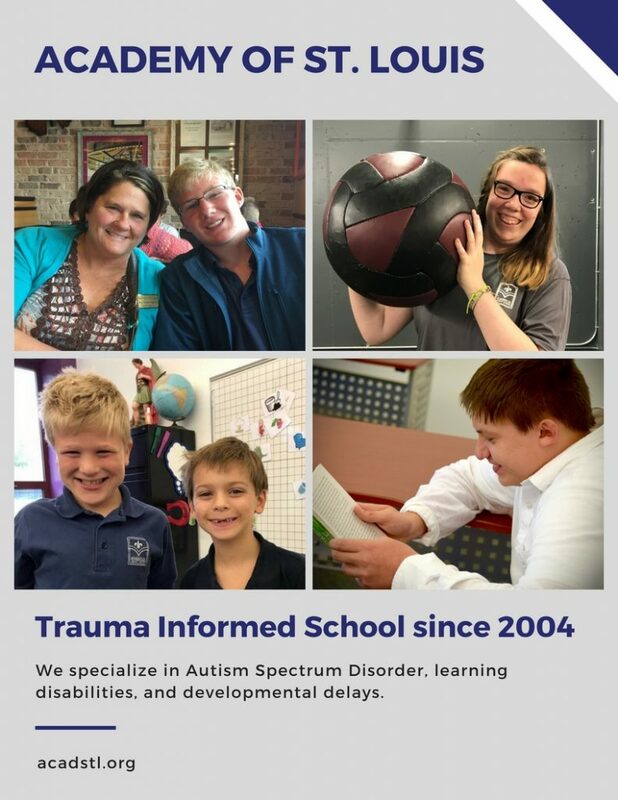 We want to ensure that we can provide the best environment and learning experience for each of our students and give their families the support they need to be successful both in and out of the classroom. What do we do to find the needs of the student? Students are then grouped according to their ability and their age for math and reading instruction. For all other subjects students are grouped by their age and ability, and accommodations and modifications are made to make the classes successful depending on the individual needs of each student. Find out more about our Application Process here!